At CRRL, we know many of our readers like cookbooks, so we try to make sure we have a broad menu of choices. Love foods from other lands but don't have the time or money to make that globe-trotting expedition - or even go to restaurants as often as you'd like? These three new cookbooks open doors to other cultures and let you give a more intriguing answer when someone asks what's for dinner. 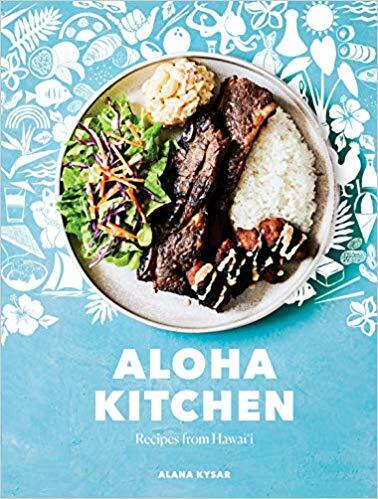 We start our cook's tour with Hawai'i and Alana Kysar's Aloha Kitchen. A native of Maui, popular food blogger Alana shows and shares the multi-ethnic cuisine of the islands, along with cultural insights and history. Two (of 85) to try: Maui-Style Kalbi Short Ribs and Lomi Salmon. Travel to Italy with Food of the Italian South. The delicious simplicity of the cuisine honors its fresh ingredients, and this volume may redefine what you think of as Italian cuisine. The author rediscovered her family's history in a small, impoverished village that was rich in culinary tradition. She'll help you discover their beautiful vistas, along with their very special recipes. For some people, a special joy of Asian cuisines lies in their delectable, fiery sauces. Diana Kuan's Red Hot Kitchen: Classic Asian Chili Sauces From Scratch and Delicious Dishes to Make With Them brings those flavors to your kitchen. Using fresh, all-natural ingredients, you can make your own sriracha (Thai), sambal (Indonesian), gochujang (Korean), and more. You can adjust their heat to your tastes, and then you'll learn how to cook the foods that use them. Includes a chart of chili pepper heat levels and, mercifully, a chapter on cooling drinks. Do you have an air fryer in your kitchen? Thinking about getting one? Not sure what to do with it? These gadgets boast that they take very little oil to turn out dishes that are crispy, delicious and far less fattening and far healthier than what comes out of your traditional skillet or deep fryer. Air Fryer Perfection has full nutritional information with each recipe (all should work with available air fryer models) along with tips for getting the most from your air fryer. The recipes are family-friendly, and many - such as Chicken Nuggets and Southwestern Hand Pies - can be made ahead and frozen. In The Clean Cuisine Cookbook: 130+ Anti-Inflammatory Recipes to Heal Your Gut, Treat Autoimmune Conditions, and Optimize Your Health, Ivy Larson - who has an incurable autoimmune disease - and her physician husband Andy collaborated to create a cookbook that relies on all-natural, nutritionally dense foods. Ivy has been symptom-free for 22 years, and many of their recipes are healthier versions of family favorites. If you're looking for a stress-free way to start eating healthier, Julia Mueller's Paleo Power Bowls may be just the ticket. The trend to bowl meals capitalizes on both the simplicity of an all-in-one dish and the comfort a bowl of food represents. As the author explains in her introduction, paleo ingredients are gluten-free, dairy-free, and refined sugar-free, and the recipes contain no legumes or alcohol. Julia shows you how to select paleo ingredients to create the perfect bowl of natural foods that combine into wonderful meals to suit your tastes and health goals. Looking for new vegan recipes for yourself or friends and family? We have two new books for you to try. The Complete Vegan Cookbook: Over 150 Whole-foods, Plant-based Recipes and Techniques comes from Natural Gourmet Center in NYC, a cooking school with over 40 years of embracing natural foods and local products. This is their first cookbook, and it's loaded with delicious dishes and helpful techniques - many illustrated. You'll learn to make Basic Nut Milk, Coconut Sugar, Vegan Mayonnaise, and much more. Instant pots (electric pressure cookers) have been wildly popular for several gift-giving seasons, and The Essential Vegan Instant Pot Cookbook has more than 75 recipes that work with plant-based menus. Coco Morante covers the bases, with chapters on Breakfast; Grains and Pastas; Beans and Lentils; Soups, Stews, and Chilis; Main Dishes; Vegetable Sides; and Desserts. The recipes draw from many cultures' food traditions (Chana Masala, Smoky Collard Greens and Carrots), and she includes a Basics chapter that includes more than a dozen key recipes that can be incorporated into your meals, such Low-Sodium Vegetable Broth and Caramelized Onions. If you love stories and some of your favorite parts of home cooking are family traditions, try Ann Hood's Kitchen Yarns: Notes on Life, Love, and Food. Get to know the author through her memoir on growing up in an Italian-American household, raising her own family, going through a divorce, and later being married to food writer Michael Ruhlman, who came to the marriage complete with a recipe for foolproof chicken stock. It's a real taste of home - and home cooking. Speaking of family favorites, yes, you can go all-out gourmet with exotic ingredients and high-brow, chef-style techniques. But what most dinner guests (and family members) will consistently enjoy - and remember later on - are the old-school favorites. To wit, Steak and Cake: More Than 100 Recipes to Make Any Meal a Smash Hit. There are so many ways to prepare these popular dinner party staples. Why not perfectly pair them as the author did? Author Elizabeth Karmel is a fantastic Southern baker, as well as a leading pitmaster. Whether you favor Cowboy Steak with Whiskey Butter followed by a Whiskey Buttermilk Bundt Cake or Indoor/Outdoor Tomahawk Steak paired with a Classic Key Lime Cheesecake, the results are sure to delight lovers of steak...and cake. Mix and match the recipes to create main events for a memorable supper. Let's not forget the beverages! Care to try your hand at brewing your own beverages at home? You're not alone. In Homebrew World, you'll be introduced to the new generation of homebrewers around the world. Learn their histories, and try their recipes in your own home. Includes directions for American Red Ale, Belgian Tripel, Berliner Weisse, English Mild, Farmhouse-Style Saison, Hefeweizen, Imperial Stout, Raspberry Lambic, and more. If your tastes run more to cocktails, we have just what you ordered. The Manhattan: The Story of the First Modern Cocktail with Recipes will take you on a sipping history of old New York City. With cocktail historian(!) Philip Greene as your guide, you'll learn its origin(s) and find recipes for 65 easy-to-follow drink recipes, each with its own story. These are only a few of the newest cookbooks on offer at the library. Here is a link to all the 2019 cookbooks listed in our catalog. Bon Appétit!